Monaco appear to be closing in on a loan move for Michy Bathsuayi after his initial season-long loan deal with Valencia was brought to a premature end at the start of January. 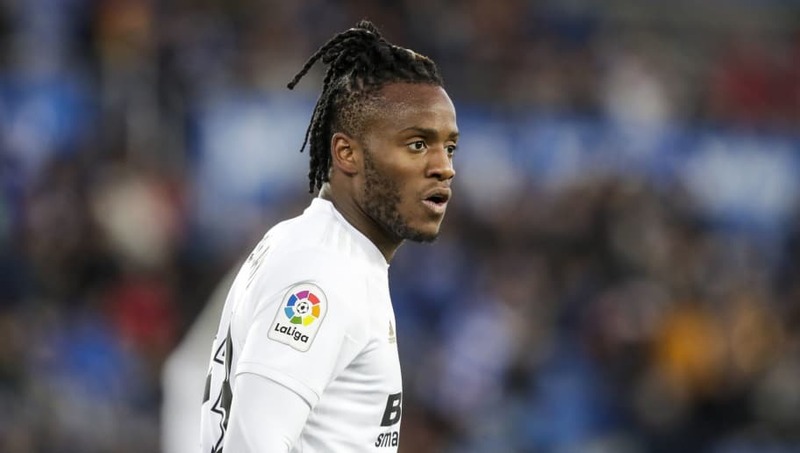 Batshuayi was said to be far from Maurizio Sarri's plans when the Italian manager took over at Chelsea last summer and the Belgian was sent out to Valencia at the start of the season. He failed to make much of an impact with the Spanish outit, scoring just three goals in 23 appearances. Now, after temporarily returning to ​Chelsea, it appears as though ​Batshuayi will be on the move once again. According to ​ESPN, Monaco are set to complete a loan move for the striker until the end of the season, with the deal ready to be announced on Monday after he completes a medical. Monaco manager Thierry Henry is keen on bringing in a striker who can partner Radamel Falcao up top and he has already suggested that he is a fan of Batshuayi, previously saying, as per ​Sky Sports: "Michy? I know him, we rubbed shoulders with Belgium, he is a player who can be interesting. According to RMC journalist Sacha Tavolieri, the deal will not include any option to buy, meaning that Batshuayi will rejoin Chelsea once the season comes to end. This will be Batshuayi's third loan deal in a year after Borussia Dortmund, who he joined in the second half of last season, and Valencia.